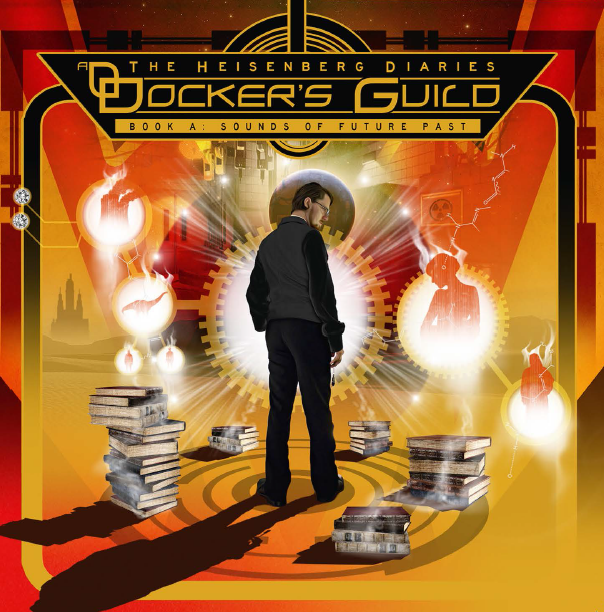 The full title of this second Docker’s Guild release is The Heisenberg Diaries, Book A: Sounds Of Future Past. Maybe qualifies as one of the longest album titles ever? Anyway, this is the first of 4 transitional albums placed between the 5 that tell the main story. So when Douglas R. Rocker gets his way, we will have a total of 9 albums by the time he is finished with what he has planned. 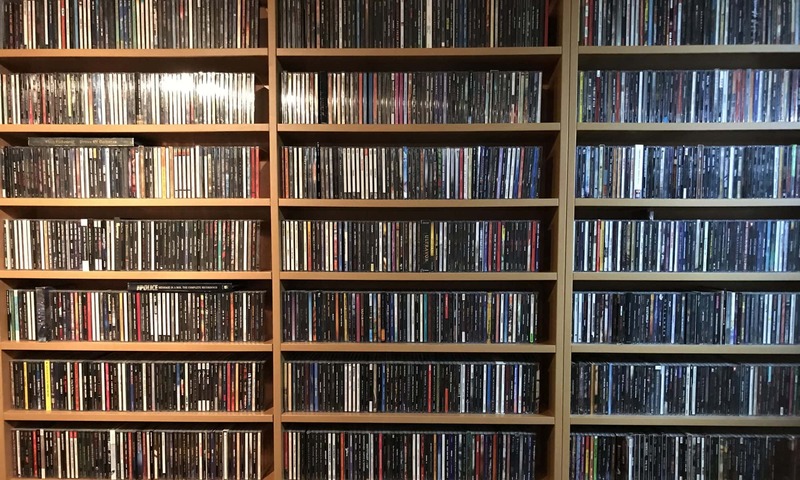 Just let that sink in for a moment…9 albums! Well, as far as storytelling goes, this one focuses on the youth of Doctor Heisenberg and in particular his love of Science Fiction. So all music are covers that relate to SF movies and series. Which results in a big trip for me, being quite the fan. Just some names to give you an idea: Queen with Flash Gordon get a suite, as well as Toto with their fantastic Dune soundtrack. The Neverending Story, Dr. Who, Red Dwarf, Barbarella, Space 99 and a few others. All is done in typical DG style, with Douglas, who handles vocals and keyboards, being surrounded by an all female cast. More name dropping here: Nita Strauss, Roxy Petrucci, Elize Ryd, Amanda Somerville and Anna Portalupi to name a few of them. We could have been treated worse here. If you liked the first album, or if you are into SF, or just because you like female artists and or prog, this will prove a worthy addition to your collection. I was fortunate to be able to check the CD release. With spectacular artwork from Blekkmark and some hints as what is yet to come, surely something you will not want to miss. Digital formats are already available, the CD will hit the streets on February 26 on Rock Company and other retailers. Make sure you check it out!